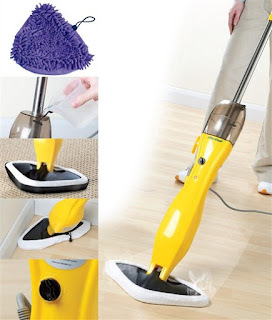 But how do you get the best results from your steam mop? This is a common question that keeps cropping up. 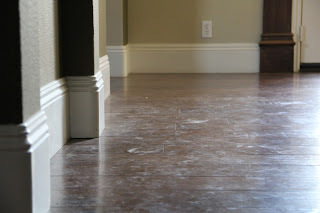 By reading the tips and hints listed below, you’ll be able to get the most from your steam mop and achieve a floor that you can be proud of. 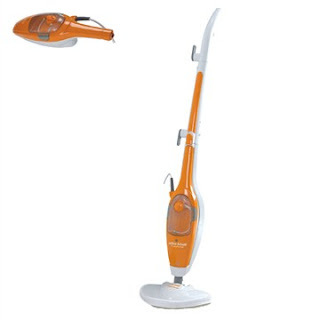 You must remember to sweep and/or vac your floor before using your steam mop. Failing to do so will result in dust, crumbs and hair being spread around and you may end up with a dirtier floor than when you started! How utterly pointless. Also, your mop head will become filthy quickly and you probably won’t be able to finish even half of your floor with it. There’ll probably come a point when you have to walk over an area that you’ve already cleaned. By wearing socks, you won’t leave any marks on your clean floor. Wear shoes and you’ll just end up making more work for yourself! You can also reduce the amount of times you step on your work by cleaning backwards from the far corner of your room. Remember, if you start at the entrance to a room then you’ll probably end up trapping yourself in it! 3. Dirty Mop Pad? Change It. If you enjoy wasting your own time and love having a filthy floor, then start cleaning with a dirty mop pad. However, if you’re sane and want a shiny, clean floor, then you must remember to frequently change the pad. Many steam mops have reversible heads that allow you to switch between pads, which is fantastic as it means you can clear a bigger area of floor in one go. Ideally, you should have a couple of spare mop pads lying around, which you can use if the pad you’re currently using becomes too dirty. It doesn’t take much to clean a pad, just throw it in the washing machine. 4. Got Children or Pets? Banish Them. After cleaning a floor, ensure that nobody can enter the room for at least another hour afterwards. The last thing you want is a child or dog rampaging into the room and messing up your good work! Floors do dry much more quickly with steam mops than traditional mops as less water is used, but you still need to allow adequate time to let it dry thoroughly. The best times to clean are during the day while the kids are at school or late at night just before everybody goes to bed. 5. Never Leave Your Steam Mop Running. This is more of a safety tip then a cleaning tip. If you should ever get distracted by a phone call or a knock on the door while cleaning, then be sure to turn your steam mop off. Leaving it running will result in one area being over-heated extremely quickly and could leave an irremovable mark on your floor. Steam mop heads can get extremely hot so always turn them off when you’re not using them. When you plug in your steam mop, the head heats up and quickly becomes too hot to handle. Trying to attach a pad to the head in this state could result in burnt hands or fingers. If the pad is wet, you could even give yourself a nasty shock. Remember, plugging in your steam mop should be the last thing you do before you start cleaning!